We mainly assemble Diesel Generators but we take great pride in the canopies that we fabricate and soundproofing of those canopies. The standard canopies are GI Steel minimum 2mm thick, attenuated down to 85 dB @ 1 m. The enclosure not only protects the generator set but serves as general weather protection and since it is galvanized it prevents rusting. The epoxy coating powder is used for maximum life and finishing. Rain or dust & sand, our canopy will stand strong through it. We can support different IP ratings such IP43 for the outer enclosure as per the requirement but we are generally making IP23. Control Panel sections can be much higher as IP65. Our enclosures are designed with calculated ventilation and exhaust limits which enables smooth heat dissipation safe temperatures for the whole set. There is a built-in base tank to allow 10-12 hours running without refueling. The base frame has forklift pockets and is thick enough for enduring the weight of the DG as well as not permitting any leakage from the fuel tank. The bigger the generator the more extreme the heat, higher moisture air, unstable vibrations, and of course deafening engines sounds. 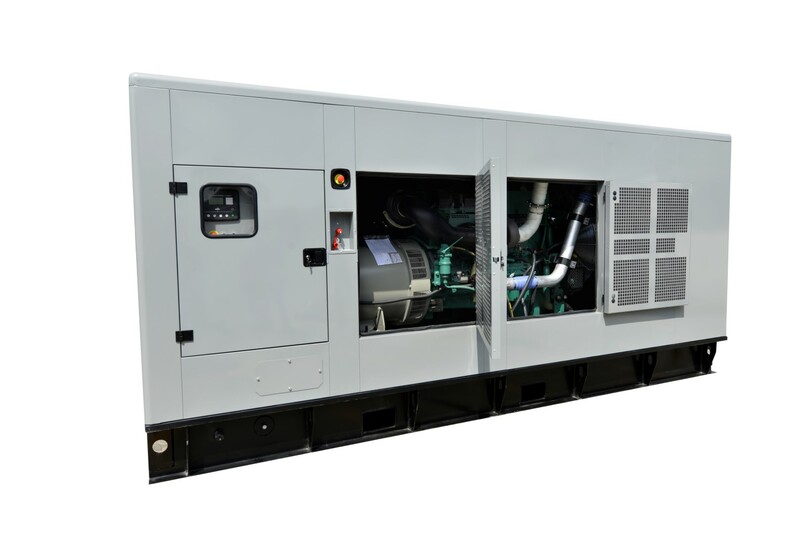 Containerized generator sets should be built tough just like the engines running inside them, that’s why ITTS manufacturers heavy duty generator containers that absorb all the extra noise and endure the harshest conditions coming from the generator. Moreover, these units can be carried by vehicles to any remote site for the most isolated power needs. The dimensions of a containerized generator are as standard containers (20ft, 40ft, and 40ft HC). 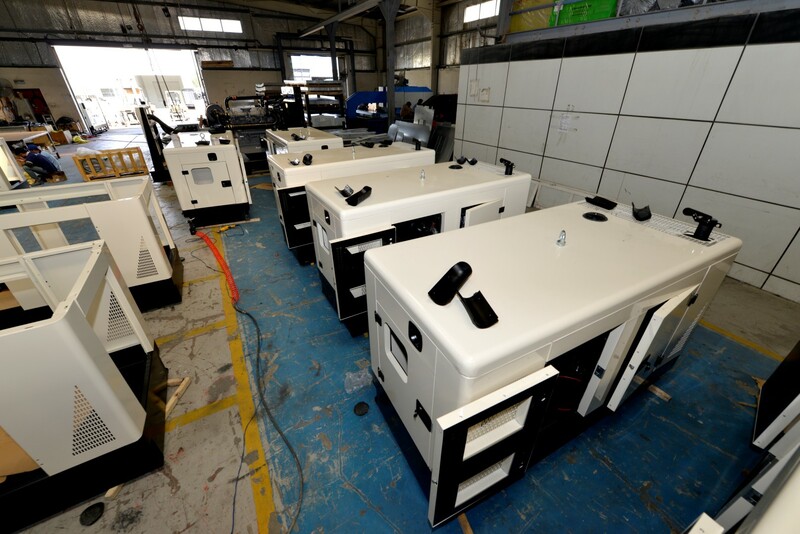 In addition to our standard acoustic enclosures and ISO 20, 40 HQ containers, we custom design and manufacture silenced and super-silenced containers for any size or brand of diesel power gen set, leaving the ISO lifting and transportation points intact. The Unit body is made from brand new standard 20ft/40ft high cube container modified to be sound proof enclosure. Designed to have optimum serviceability. Air inlet louvers specially designed to operate at rated load even at 50 deg. C enclosure temp. All containers are ISO as standard with 4 No. ISO type lifting points fitted at each corner for ease of installation to final site locations. Two service doors, one at each side and connected by earthing cable to the container body. Inlet and outlet air louvers areas are made to be enough for your generator requirements, and they are made to be removed for easy service. All doors have a water proof sealant that prevents water from going inside the container. The container is lined from inside by 1 inch. glass wool covered by perforated sheet metal, this material will work as an acoustic liner. Air inlets are equipped with bird mesh, the inside of the container is lighted with heat resistant light fixtures, all wiring conduits are made of 20mm galvanized steel pipes. The container will be equipped with two outside emergency stop button, outside fuel supply and return, Power cable outlet. Floor is lined with steel checkered plates and having a drainage point. Compacted yet durable and dependable engine: Cummins engines contain up to 40% fewer parts than competitive engines in its class. This results in a better power-to-weight ratio, a less chance of failure and lower repair cost. room and duty room; non-step-in is compactly design. Engine and alternator shall be mounted on a same frame steel skid. Small size, low weight, easy to operating, installation and maintenance. World most famous brand diesel engine. World famous brand AC alternator: Stamford, Marathon, Leroy Somer, MVC. Full range protects function and alarm shutdown feature. 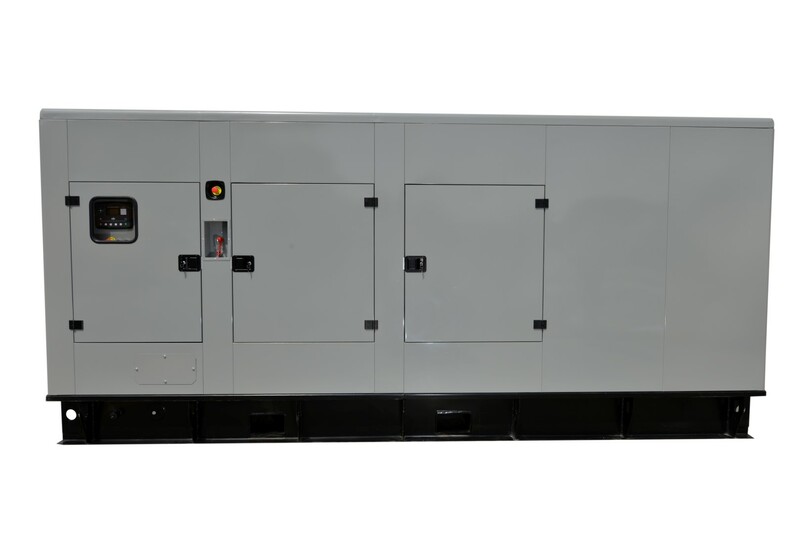 Our company is well known as reliable diesel generators manufacturer whose main objective is customer’s satisfaction and long-term cooperation. We care about our reputation and brand name, therefore all components are original genuine and in partnership with industry leaders such as Perkins, Leroy Somer, Stamford, Scania, MAN, etc.